Last week, the annual CES Conference in Las Vegas, Nevada finished up another fun year. Each year at CES, companies, individuals, and innovators gather to show off the latest technological advances. Thousands of companies exhibit products and hundreds of thousands of attendees collectively "ooh" and "ahh" over the inventions. From incredible futuristic cars to a mirror that points out all of your flaws, each year the products are both exciting and wacky. Of course, I always keep a close eye on the healthcare tech. There were some really neat things, but these are a few of my favorites. A few years ago, my grandmother fell and broke her hip. It didn’t take long for her to go downhill from there. If she had been using this latest advance, she might have been saved the pain. 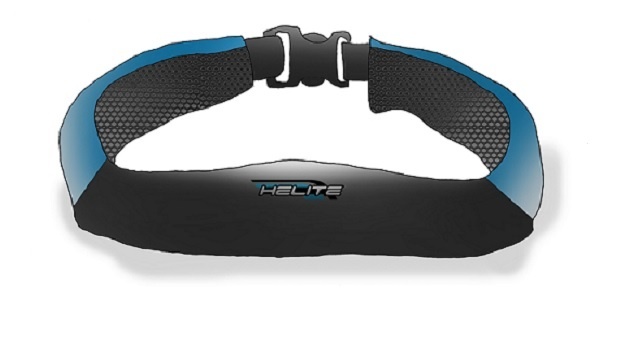 The Hip'Air is a wearable airbag that kind of looks like a fanny pack but is much more tech friendly. It comes equipped with sensors, a battery, airbags and an air cartridge. When the sensors detect a fall, the airbags deploy to help break the fall and avoid serious injury. While still awaiting FDA approval, the Omron HeartGuide could be the fitness tracker that we’ve all been waiting for. 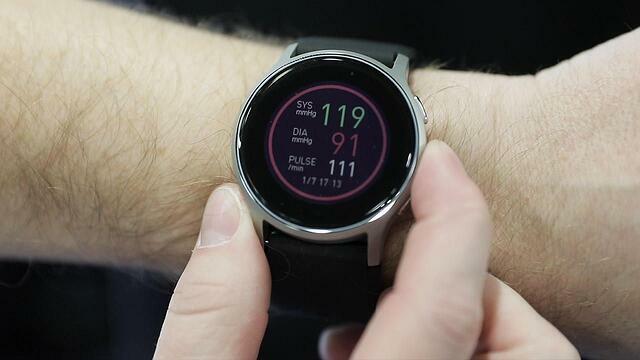 Beyond just checking your heart rate and counting your steps, this fitness tracker has a special band that can actually take your blood pressure. It can even be set up to take readings during the night while you are asleep. This can help patients be on the lookout for potential hypertension. Nothing is worse than seeing a child sick and afraid. 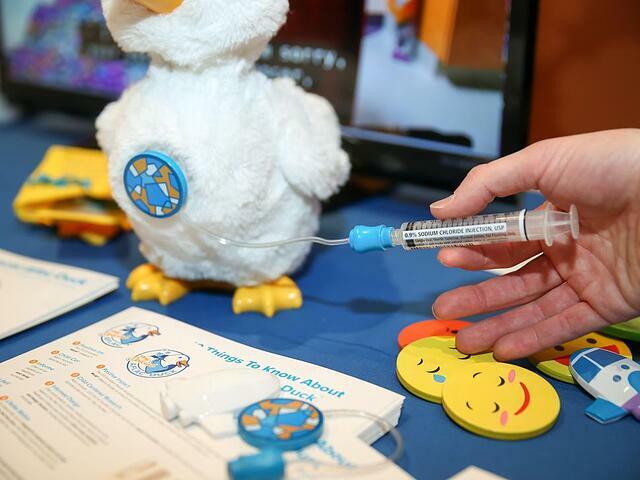 This companion robot (created to look like the Aflac duck) is designed to help comfort kids being treated for cancer. The toy mirrors the routine health care procedures of a child with cancer—like receiving chemotherapy—to help relieve some of the anxiety of going through the process alone. In addition, the duck can “come alive” by quacking, waddling, and acting like a regular duck. A fun friend to have during a rough time. 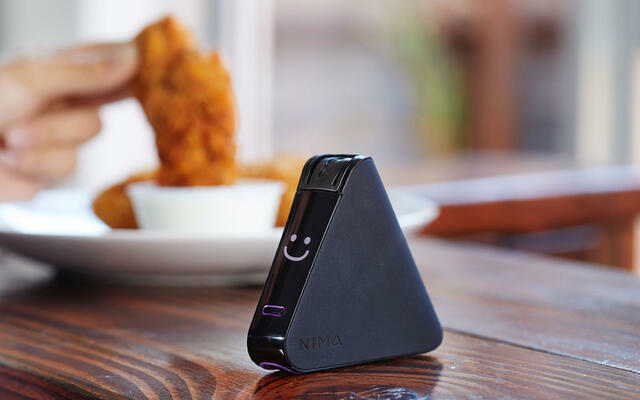 Developed by MIT scientists and funded by the National Institutes of Health, Nima is a dream come true for those who are allergic to peanuts. This device tests samples of food to let you know if there is any peanut found in the dish. It can detect even small traces of peanut to help keep people safe. The best part is that it is small enough to take anywhere, whether you are visiting friends or having a night on the town. It’s time to make brushing fun. I have kids and getting them to brush their teeth is not always the easiest of tasks. 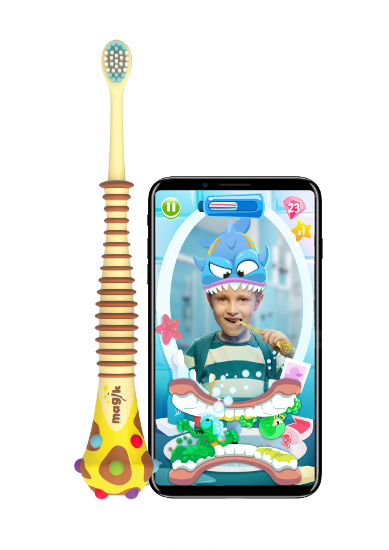 This kid-focused toothbrush uses your smartphone along with augmented reality to get kids excited about brushing. This toothbrush uses artificial intelligence to learn and adapt to each individual child. It detects which habits they need to change and improve and provides motivation and instruction to do so. More than that...it's fun! Did you have any favorite gadgets from this year's CES? Be sure to share in the comments. If you want to learn more about technology and how it's changing healthcare, be sure to check out our free ebook, "How Healthcare Technology Can Advance Participatory Medicine."